How do I edit an ongoing competition? 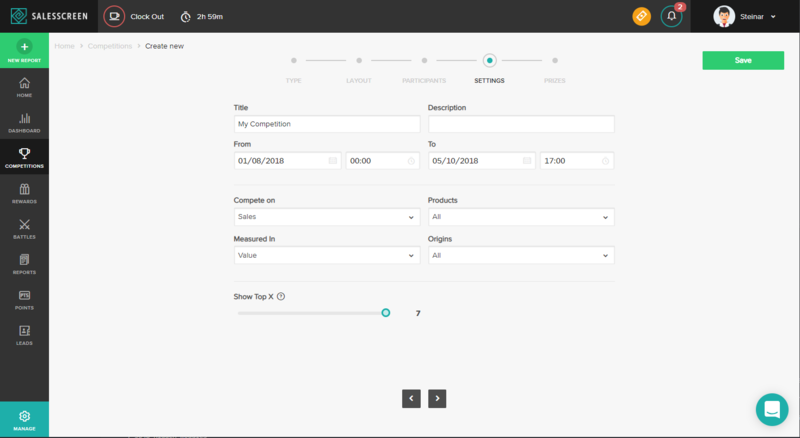 Edit an ongoing competitions to adjust its parameters on the fly. Click on the settings icon to the far right of the competition and click on Edit. 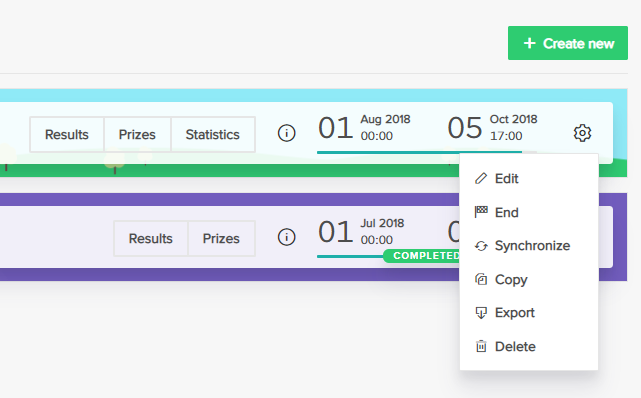 In the wizard, you can change everything from the layout of the competition, to the winner's prize(s). 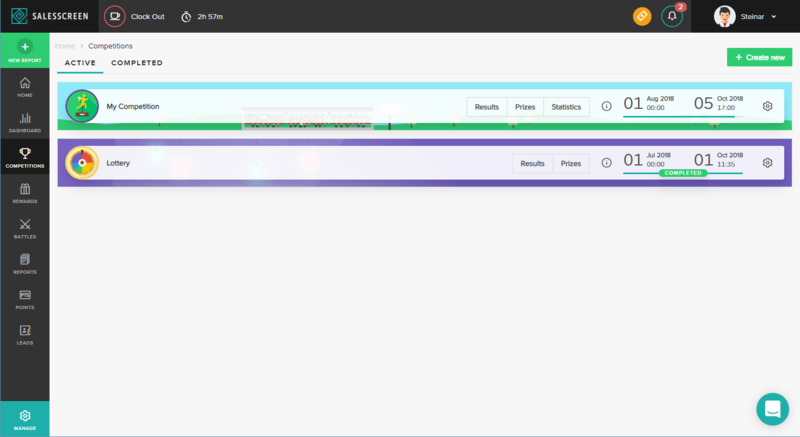 Simply navigate to the different configuration sections by using either the navigation menu on top or the arrows at the bottom. Click on Save in the top right when you are done editing.